did that just say what I think it said? I quickly turned down a side street and came back around because I had to see it again. Honestly, as I pulled over and took a picture my heart started racing as I feared someone coming out of the house screaming at me and telling me to stop taking pictures of their car. I’m sorry but….WHAT THE WHAT? How is this allowed? Its enough to scare small children. And me. I am just going to hope they are referring to their vehicle. 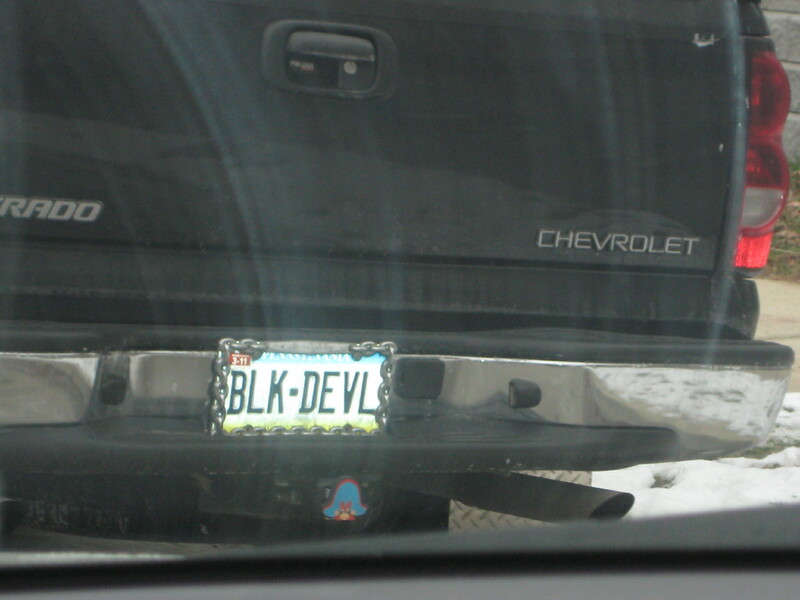 Although, its a Chevy, so I doubt it.